Posted October 30th, 2018 by Lillian Price & filed under Dental. Posted October 29th, 2018 by Lillian Price & filed under Dentist. Posted October 29th, 2018 by admin & filed under Dental Care. Posted October 25th, 2018 by admin & filed under Dentistry. Are Bleaching Materials for Cosmetic Dentistry in Bristol, CT Safe? Posted October 25th, 2018 by admin & filed under Dentist, Dentist Cosmetics. Posted October 23rd, 2018 by Lillian Price & filed under Dental. Posted October 23rd, 2018 by Lillian Price & filed under Dentist. Posted October 22nd, 2018 by Lillian Price & filed under Dentist. Posted October 19th, 2018 by Lillian Price & filed under Dental Services. 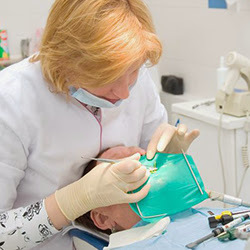 When many patients hear that they need root canal in Jacksonville Beach area, they go into a small panic largely because there are so many myths associated with the procedure. This can be a tooth saving procedure that helps you hang on to your natural teeth. Posted October 19th, 2018 by Lillian Price & filed under Dentist.